Ice Cream Socials have served as a staple of American summer fun for generations. People absolutely love ice cream and making the treat into a sundae is literally the cherry on top. Hosting an awesome ice cream sundae party gives guests the opportunity to get created and treat themselves. It is the perfect summertime treat to close the season. There is a lot of planning that goes into a successful ice cream sundae party. From the invites to the cleanup there is a trick to make it unforgettable and this guide has the scoop. The invitations are the first impression your guests will have to your ice cream sundae party. Therefore, you want to ensure that the invitations set the tone for the party. Whether you’re having a simple get-together, or a full-on ice cream extravaganza, it’s important to relay that to your potential guests. Here are three ways to convey the connotation of the party in a fun way. If you are planning a simple party, you can have a wild invitation, but that might not convince the guests the party is intimate. However, there’s still a few awesome ways to invite guests in style. • Regular Initiations- There are plenty of invitation options for normal invitations. If you want to be traditional, with simply filling out the time, place, and RSVP, this is the way to go. 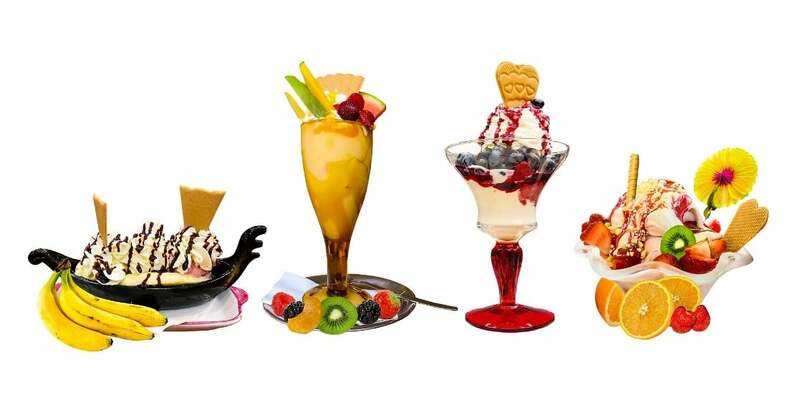 Amazon has plenty of adorable Ice Cream Sundae Party invitations. 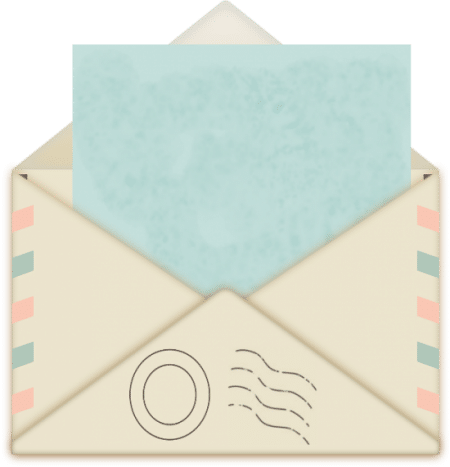 • Handwritten Invitations-Sending out handwritten invitations is something that has become highly underrated in recent years. However, handwritten invitations can be short, simple and too the point, or as lavish as you want to make them. Either way, they are always appreciated. • Personalize a Unique Invitation: Etsy and Zazzle offer a host of unique, personalized invitations for every occasion. It’s simple (and fun) to pick out an awesome invitation to match the exact theme of your party. It doesn’t matter whether you intend to have an outside party, or an inside party; there are plenty of different décor options. Hosting an awesome ice cream sundae party has a lot to do with the ambiance of the party. Therefore, besides the colorful bowls, spoons and napkins, here are a few ideas for both indoor and outdoor décor. The weather in August can be a little unpredictable. Any given day can be painfully hot or overrun by the threat of intermittent thunderstorms. This unpredictability makes it difficult to plan an event outdoors. Thus, sometimes indoor events are the easiest to plan. Having the party inside allows hosts to set up colorful props, without having to worry about the wind carrying them off. Some host favorites include ice cream cart centerpieces, adorable table covers, and DIY ice cream cone balloons. 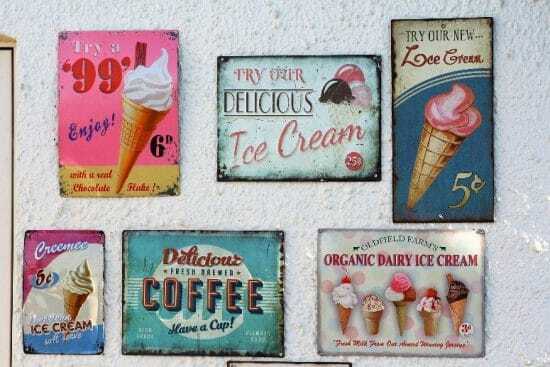 Summertime offers a lot of outdoor décor options for an ice cream party host. Since ice cream can be messy, having it outside is a premier option. (Especially since it is also a great way to escape the heat. After the logistics are decided, the fun part begins. The amount of décor will depend on the amount of room the party has, and the number of guests expected. However, some unique décor favorites include an ice cream cone piñata, photo booth props for candid pictures, and ice cream cone garland. Stickers are another way to jazz up mundane items to keep them on par with the fun of the party. Since there will likely be ice-chests and coolers outside to keep the ice cream cold, adding fun stickers to the containers will help them fit right in. Despite the allure of a full ice cream sundae bar, a party isn’t complete without entertainment. Both inside and outside attractions are needed to make the get-together go from get-together to party, depending on where it’s being held. Besides having fun, summertime music playing, here are a few suggestions to truly get the party started. 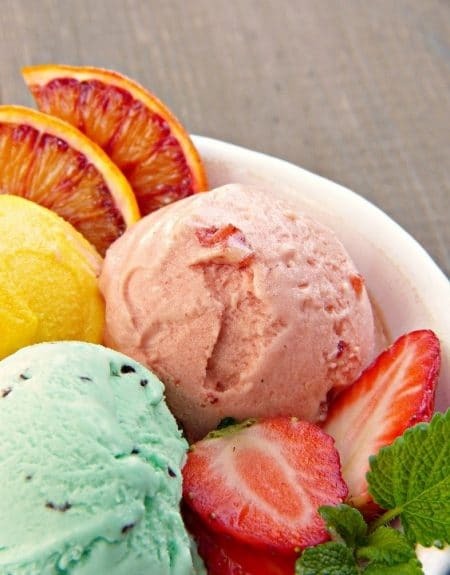 • Name that Flavor: Set out as many flavors as you would like, number the flavors from one to however many there are and have people taste each flavor. If you would like to give out prizes, collect the guesses on a piece of paper and award the person with the most correct answers a prize. If there are a lot of correct answers, put the names in a hat and pick a winner. • Pin the Cherry on Top: This game is like pin the tail on the donkey, but it’s an ice cream cone and guests are tasked with pinning the cherry on top. The same rules apply as the traditional game, bedside the specific theme. 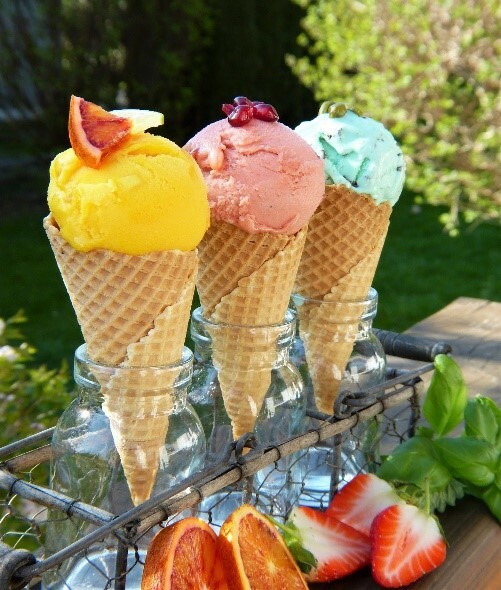 • Ice Cream Scavenger Hunt: Hosting a scavenger hunt can be fun for guests of all ages. Hide ice-cream related items around the party (not real, melting ice cream, please) and ask guests to find them. These items can be fun party supplies (a rainbow of balloons) or something specific to ice cream (something that is the color of your favorite flavor). This game allows the hosts and the guests to get creative and with their phones, people simply need to take a picture of the items. • Bounce House: After all that ice cream, kids are going to be loaded up on sugar. What better way to remedy that then with a bounce house. If the party has kids, a bounce house is sure to help liven up any awesome Ice Cream Sundae Party. To close, hoisting an awesome ice cream sundae party can be as elaborate as you want it to be. When it comes to this frozen treat and the preferences that accompany it, there aren’t any rules. An ice cream sundae party is simply a fun summertime get-together, for children of all ages. Stay cool this August by adding some sprinkles and whipped cream to the best treat to relieve the heat during the dog-days of Summer.